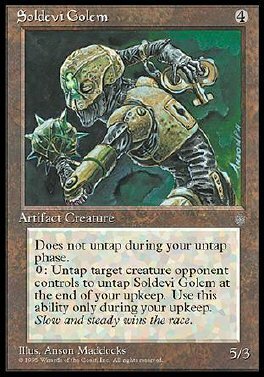 Soldevi Golem doesn't untap during your untap step. At the beginning of your upkeep, you may untap target tapped creature an opponent controls. If you do, untap Soldevi Golem.